I have never liked to exercise. Never ever. Not even the teeniest bit. I know it's not politically correct to admit that, but it's true. My secret is out. I listen to people talk about running highs and endorphins, feeling euphoric and alive ~ blah blah blah. No offense, but all I have ever been after exercise is breathless. And I don't like it. I used to dance, kickline, ballet. I have the tattered pointe shoes and pom poms in the attic to prove it, but that was many years ago, before kids, an aging parent and a deep desire to remain sedentary settled in. Now my only form of exercise comes from pushing laundry baskets around and apparently, that doesn't really count. I need to move deliberately and for a certain amount of time each day to get points. I've decided to start that 10,000 steps a day challenge, mainly because it seems to be the least exercisy-exercise out there. I have done it before and easily hit that magical 10,000 by lunch. Of course, that was a long time ago, when I used to move a lot. Nervous energy...toddlers, they keep you from sitting down. However now, I write, carpool, shop online, heck, even my groceries come to the house sometimes. I'm not sure I hit 10,000 steps in a week. I found my old pedometer in the junk drawer, strapped it on and was sure I had hit 10,000 steps by dinner last weekend. I tried really hard to move whenever possible. I opted for the furthest parking spot, took the stairs, I even checked for the mail when I knew it wasn't there. I was exhausted by early evening and still about 8,000 steps short. I am so completely out of shape, this goal seems unrealistic and utterly impossible. I'm tired just thinking about getting up. 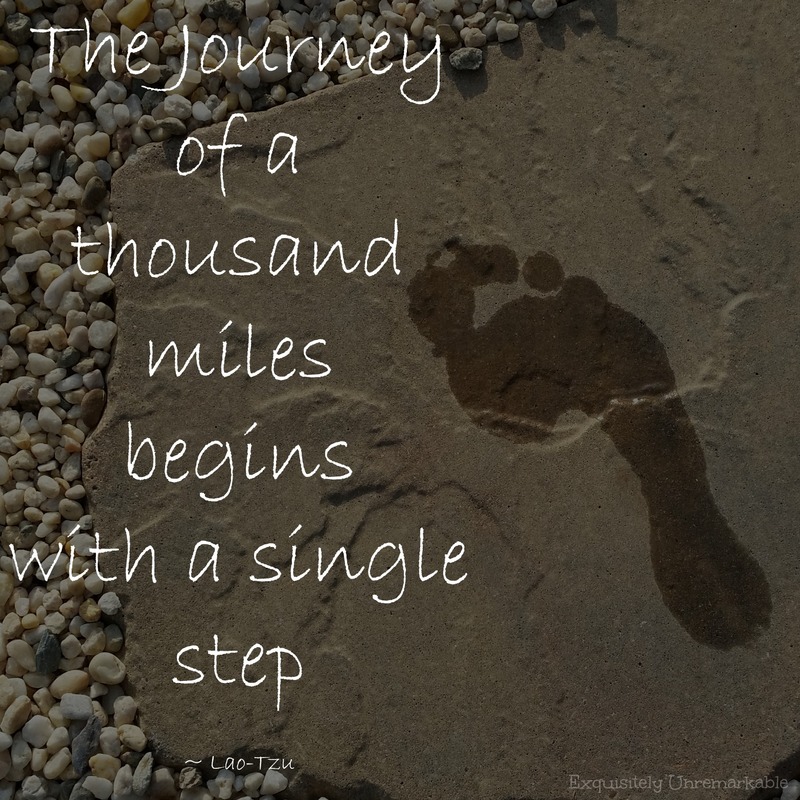 However, like the quote says...the journey of a thousand miles...so I started today with one step and then another. It wasn't really as bad as I thought. Until I realized I have to do it again tomorrow. Yay. Speaking of tomorrow, I am moving my little blog over to a WordPress format. I have enjoyed Blogger since day one, I'm just ready to try something new and spread my wings creatively. The move feels right. The idea of learning a new platform is a bit overwhelming, more steps, leaving me breathless yet again...but it's ok, change is good. As a matter of fact, it's my resolution word for 2014 and as a former teacher, September serves as a sort of second New Year's, a time for new beginnings. I'm not exactly sure where either one of these new paths will lead me, frankly, I'm not really sure I know where I want to go. I do know, however, that whether I end up around the block or around the world as a media maven, the only way to get there from here is step by step. You can do this! I, too, am trying to get 10,000 steps in on a daily basis, sometimes I fail miserably but.......tomorrow's another day! I am no stranger to exercise however, but taking a nice brisk walk just feels good, you'll see:) Good luck with everything! I detest 'challenges'. I start out well - the first day. After that . . . nothing. So, if you do this I will be proud of you! Moving on over to WordPress is an even bigger step! My mind cannot even comprehend trying to move to another platform. I haven't gotten Blogger down yet! But, since I have a new book coming out for Christmas, it might be a good idea to get a 'real' website, right?? We are kindred spirits then, Nancy, because I too and good on day one and not so much thereafter! 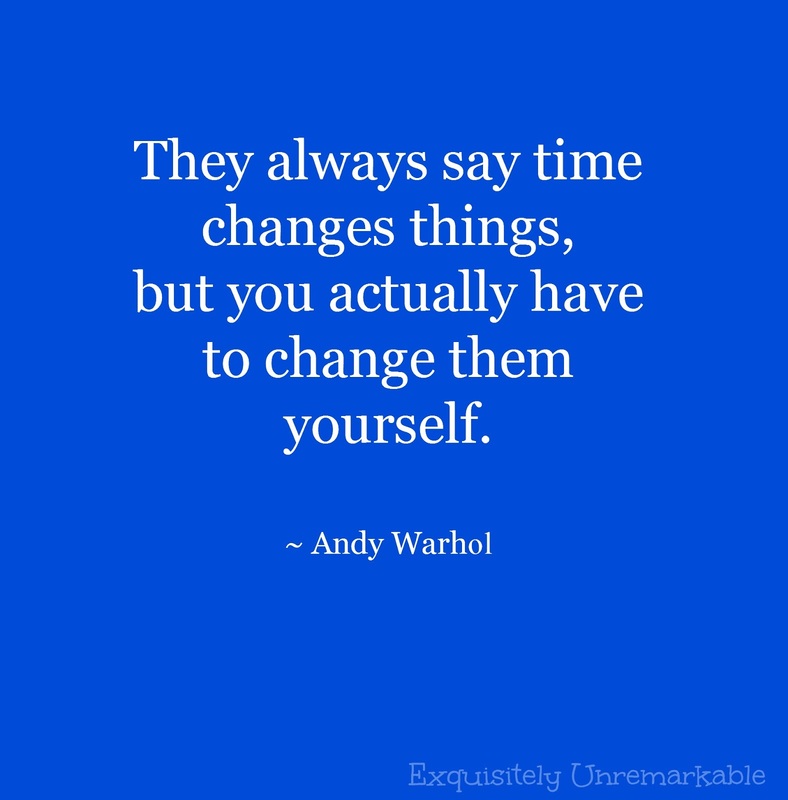 I am really going to try this time! Can't wait to see your new book~ that's great news! Congrats!! Big steps and a big more - good luck with both. Hi Kim, good luck with both of your challenges! I walk at least a half hour every day since I walk Bosco in the mornings. He gets me moving! Take care and have a nice day and week! Thank you Gina! Day 2 and I'm still on track! :) Thanks for the encouragement! I'm on the same boat as you, I don't know if I could do 10K, but maybe 5K? Somehow though, when I'm at the mall, this 10K seems easier though! I wonder why?! LOL! ;-) Good luck dear!